In this article, we will introduce a few more vehicles from FS19 mods. Like every Friday, Giants (FS19 creators) share a vehicles facts. John Deere T560 harvester with a 625x header. One of the most optimal harvesters for various size farm. Use this harvester then your farm will be a little larger than small. This harvester has a fuel tank with 800 litres capacity. Can reach maximally 40khp speed. Has a 285kw / 387hp engine. And can transport 10 000 litres of yield. 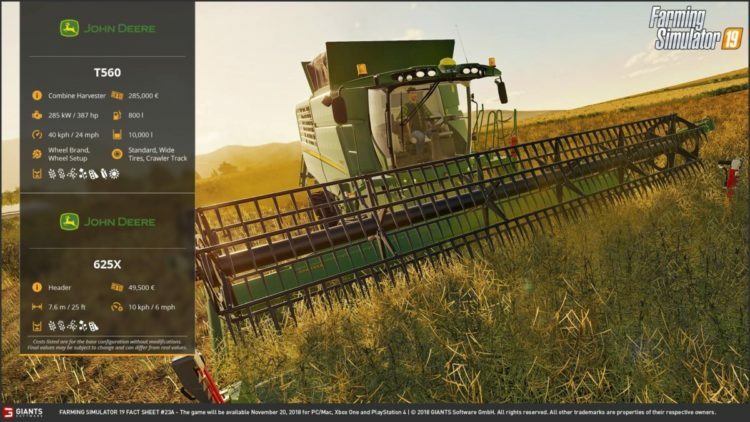 Another harvester is John Deere S790, which is more powerful than the previous harvester. This combine has 460kw / 625hp engine. The fuel tank capacity is 1250 litres. Yield tank can transport more than 14 000 litres. This harvester not cheap, so buy it only when you will have a large fields, which need to harvest. Do you like extra large farming vehicles? If yes, you will like this Fendt 1000 Vario with Lemken Gigant 12s 1600. This is one of the largest and powerful tractors in FS19 mods. With dual tyres, it looks very wide and large. With a 380kw/517hp engine, this tractor can pull any equipment. Also, 1000 Vario has less powerful engines. The weakest engine is 291kw / 396hp. But do not worry, with a weak engine this tractor also can do a lot of hard jobs in Farming Simulator 19. Lemken Gigant 12s 1600 is one of the largest cultivators in FS19. This equipment working width is 16 meters or 52 feet. When transporting this cultivator you must firstly fold it. Another one pearl for large vehicles fans. It is Ropa Panther 2. We will not lie, it’s one of the largest vehicles in the FS19 garage. Ropa 2 Panther 2 can harvest beats. It has super powerful engine – 515kw / 700hp. Maximally speed is 40kph / 24mph. Yield capacity tank – 30 000 litres. 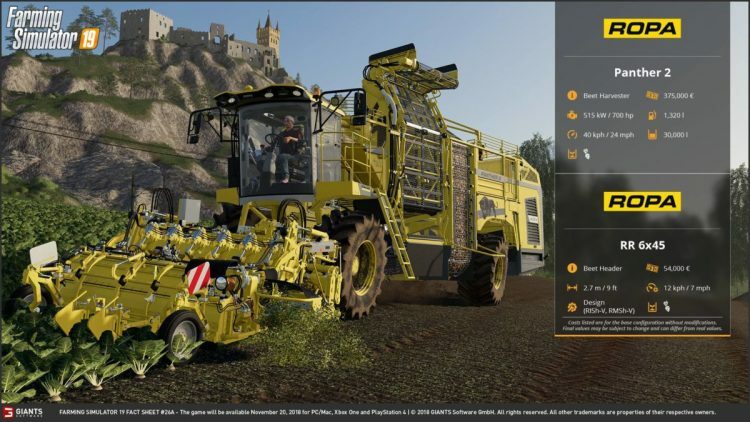 For this harvester need special header – Ropa RR 6×45. This harvester and header can harvest only beats. Ropa Panther 2 has a sister – it is Ropa Tiger 6 XL. This harvester also can harvest only beats and is more powerful than Panther 2. 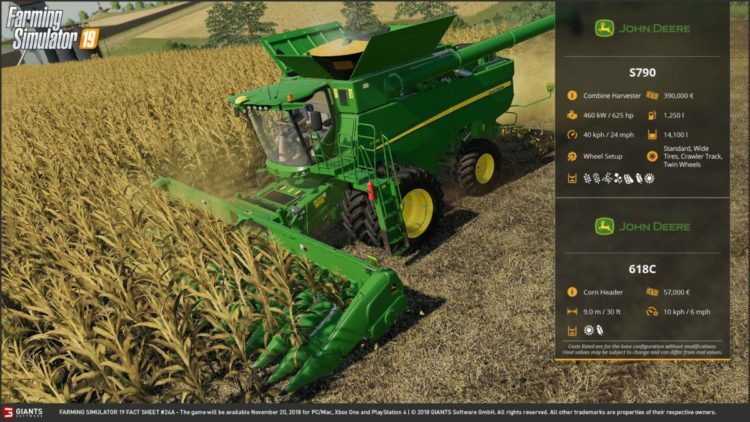 It is one of the most expensive vehicles in Farming Simulator 19 mods. This harvester does not has a big difference with Ropa Panther 2, but has a little more powerful, larger fuel tank. 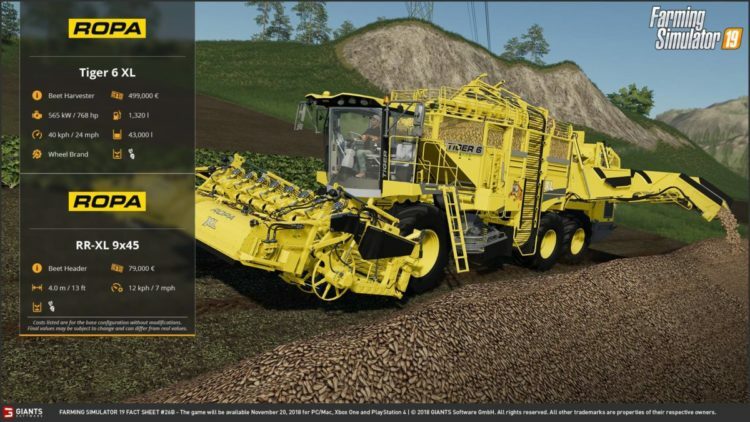 To work with combine need to attach RR 6×45 header., which has a larger working width. Do you like big farming vehicles? Try it on the new Farming Simulator 19! 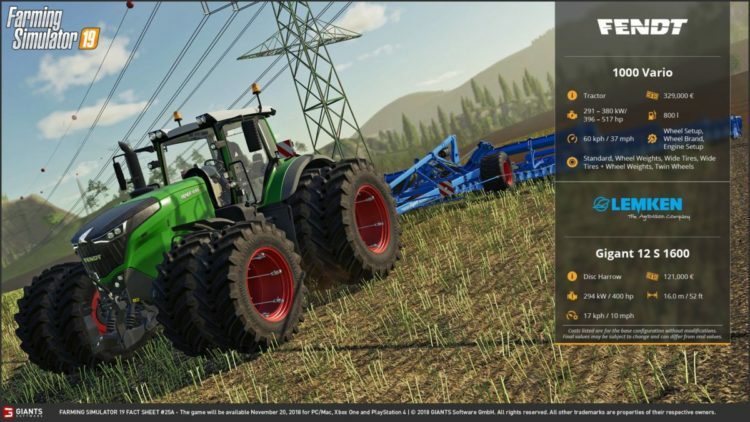 On this website, you will find FS19 mods / Farming Simulator 19 mods. Do not forget to get back then the game will be released!